IU's international reputation for Drosophila research attracts donation of collection for preservation. As the site of three world-renowned resources on fruit fly genetics, Indiana University Bloomington has been called the "mecca" of fruit fly genetics. A recent donation of "sacred texts" of the field will be held at IU's Lilly Library, establishing a historical base to study the genesis of American genetics. Last year, IU Distinguished Professor of Biology Thomas Kaufman obtained an important collection of early 20th-century publications on the genetics of fruit flies—or Drosophila—from the late William Gelbart, an influential researcher in the field who passed away in 2015. 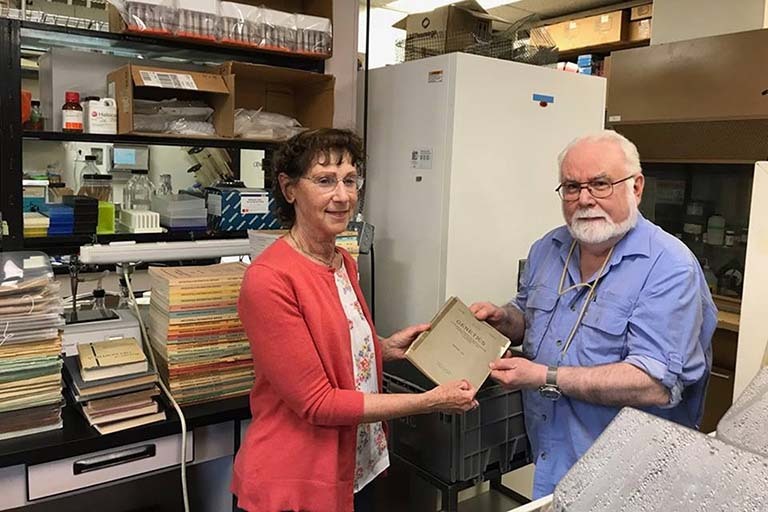 "This is a printed record of the day-to-day life in the early Drosophila group, which was the founding school for American genetics," said Kaufman, who has long played a leadership role in IU's Drosophila expertise and the American genetics research community. 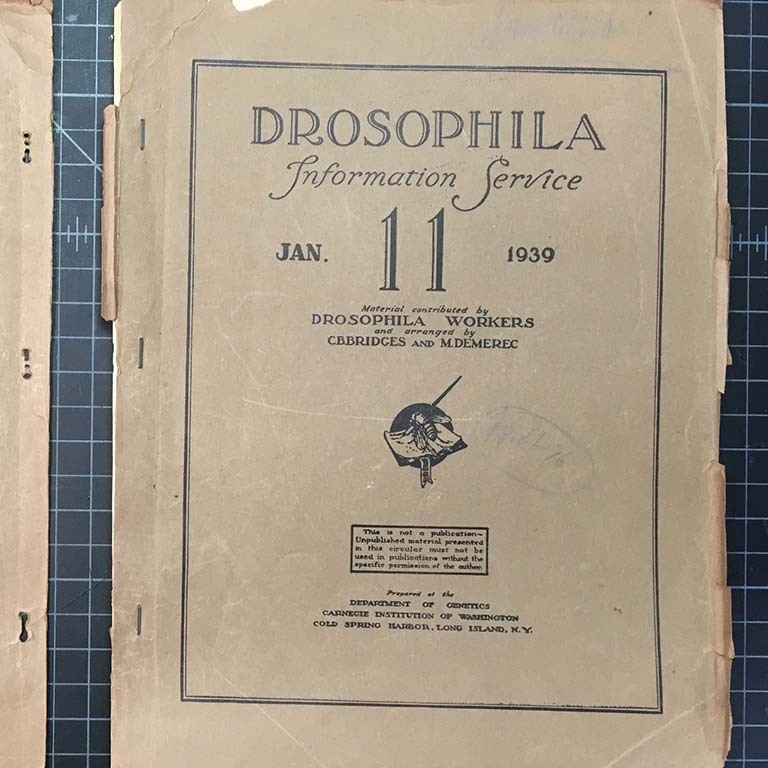 The collection notably includes an entire collection of the Drosophila Information Service, known as DIS, the seminal journal dedicated to fruit fly genetics. Their pages contain some of the earliest scientific writings on Drosophila and predate the insect's rise as one of the most important tools researchers use to study basic mechanisms of human biology. Kaufman obtained the collection as a result of his strong friendship with Gelbart, one of the founders of FlyBase, a multisite database on fruit fly genetics on which Kaufman served as a co-director. Other centers dedicated to Drosophila at IU are the Bloomington Drosophila Stock Center, a site that distributes thousands of its stocks of more than 71,000 genetic strains of fruit flies weekly across the globe; and the Drosophila Genomics Resource Center, which provides the research community with greater access to genetic data of fruit flies. Before Gelbart's death, Kaufman asked Gelbart's wife, Susan, about the collection, since he also had similar documents. "We thought we should put it all together and donate it some place where they're going to keep it and where it can be utilized and appreciated," Kaufman said. Gelbart himself had inherited some of the collection from Edward B. Lewis, a famous fly biologist and winner of the 1995 Nobel Prize in Physiology or Medicine. Other items originally belonged to Alfred Sturtevant, a geneticist who was one of the original members of Thomas Hunt Morgan's "Fly Room" at Columbia University, the place often considered to be the birthplace of modern genetics research in the early 1900s. Specifically, the Gelbart contribution includes Sturtevant's collection, the source of the Drosophila Information Service papers, as well as a first issue of the journal Genetics from 1916, which originally belonged to Calvin Bridges. Bridges was another student in Morgan's lab who proved the chromosomal location of genes and published that finding in this first issue of the journal. Each issue of Drosophila Information Service consists of detailed information describing new techniques, research reports, new mutants, teaching exercises, details on regional and national conferences, and general announcements for the research community—as well as a bibliography of Drosophila publications. "There is a philosophy in the field of Drosophila genetics that you freely share everything," Kaufman said. "That's what DIS is all about." In this spirit, the donated collection is moving to its new home at IU's Lilly Library, where it will join Hermann Muller's research papers. While serving as a member of the IU faculty, Muller was named the winner of the 1946 Nobel Prize in Physiology or Medicine for the discovery that X-rays cause mutations. Erika Dowell, associate director and curator of modern books and manuscripts at the IU Lilly Library, sees great potential for research in the new connections the collections will instigate. "These materials have been handed around among well-known researchers," Dowell said. Digitization and databases will multiply access to the content. The original physical documents offer a different kind of experience, she added. Research exists on a continuum in many scientific areas, and scientists often look back to early writings for reference and to spark new insight. 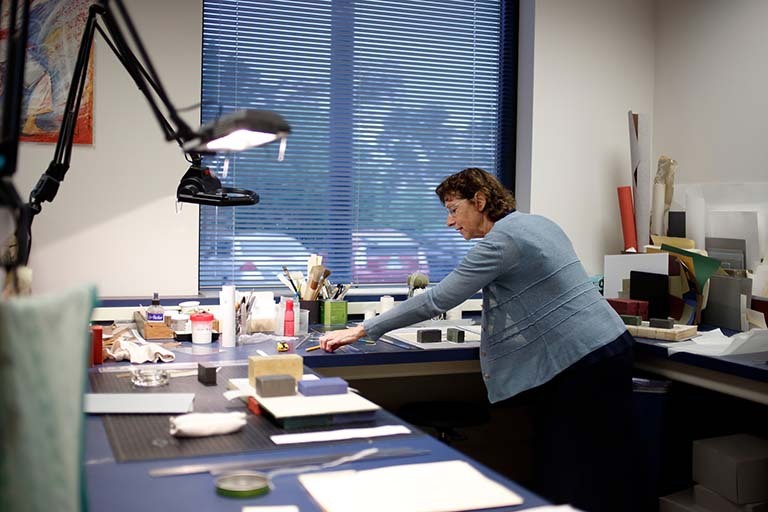 The treatment and preservation of the collection was led by Elise Calvi, head of General Preservation and Conservation Services at the IU Libraries. "Everyone in this field around the world knows that IU is a center for fruit fly genetics research," she said. "These have historical importance, so I planned to do treatment that conserved them in their original form with as little change as possible." There is also a personal connection between Calvi and the collection. Her husband, Brian Calvi, recently succeeded Kaufman as the director of FlyBase in Bloomington. He earned his Ph.D. from Harvard University in Gelbart's lab. "These materials are not exactly typical for a rare-books library, but they're exceptionally important due to the university's prominence in Drosophila research and will be useful in both teaching and potential exhibition," Dowell added.